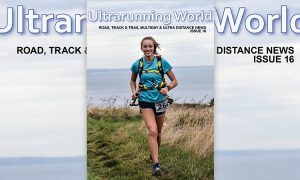 In an outstanding display of committed front running, Paul Giblin sets new West Highland Way record for running Scotland’s iconic long distance trail, the 95 mile West Highland Way. 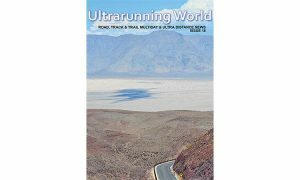 His time of 15 hours 07 minutes and 29 seconds, bettered the existing record set ­­by Terry Conway in last year’s annual event by over 32 minutes. 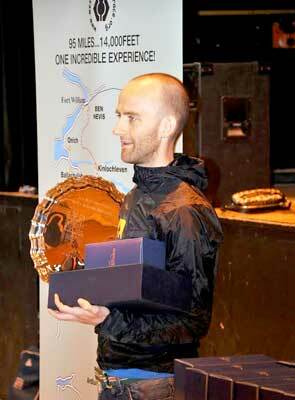 The Scottish ultra distance international, set off in determined fashion from the start. By the first checkpoint at Balmaha, on the shores of Loch Lomond, reached in 2.30.23, he already had a lead of 8 minutes. By Beinglass Farm(40 miles) at the top of Loch Lomond reached in 5.58.12, his lead was over half an hour. Reaching the 50 mile point at Auchtertyre Farm near Tyndrum (7.30.53), he was showing no signs of flagging, and indeed maintained his steady pace down to the 60 mile point at Bridge of Orchy, (8.51.58). The Glencoe Ski Centre checkpoint (71 miles), reached after crossing Rannoch moor on the old drove road, was hit in 10.33.45 almost an hour ahead of second placed Marco Consani (Garscube Harriers). As in a standard marathon the last third of the race is where things can go pear-shaped, and in the last third of the West Highland way this is compounded by the two toughest stages, over the Devils Staircase to Kinlochleven (78 miles), and then the long haul, up to, and across the stony trail of the Lharig Mhor. Giblin, seemingly had no problems and reached Kinlochleven in 12.27.36 and with victory, and a new course record seemingly assured, still maintained a steady pace to the finish. His finishing time also eclipsed the 15 hours 26 minutes recorded by Edinburgh’s Dave Wallace in one of the very early editions of the race in 1989, set when the trail was slightly different and some have argued harder. Current records have been kept for The Way since the early 1990’s when considerable upgrades and some minor changes to the trail were made. Marco Consani, who had beaten Giblin in March when they both represented Scotland at Perth in the annual Anglo Celtic Plate 100k international, finished almost an hour behind in second place with 16.03.48. He had the consolation of setting set a huge PB by over 2 hours also realising that his time would have won the race on many occasions. Two time former winner Richie Cunningham, showed his consistency by finishing in 3rd with 16.27.30. In the ladies race, 2012 winner Rosie Bell from Strathaven Striders, retained her title and improved her Pb by over 40 minutes but was pushed all the way by first time competitor Lorna McMillan from Glasgow. McMillan held a 20 minute lead at Bridge of Orchy. At Glencoe this had been reduced to 10 minutes and at the final checkpoint at Kinlochleven, the gap between them was down to a minute. Bell proved the stronger over the final stage and won comfortably in 19.27.04. McMillan held on well to record 19.46.00, a sub 20 hour clocking in her debut , showing she could be one to watch in the future. 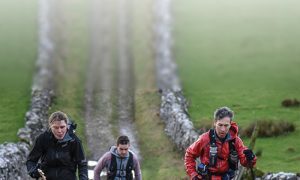 Altogether 149 runners finished the 95 mile trail, the longest event to receive a permit from Scottish Athletics, in the 35 hour time limit.